The Cinque Terre are a magical territory, unique in the world: the clear blue sea, steep rocks, terraces and dry walls with which man has given new shape and life to the ridges, luxuriant nature, pastel colored houses in breathtaking locations, wines and flavors make a stay in these places an unmatched experience. How to capture their magic? Photographing them is definitely the best solution to live the time intensely and take it with you forever: an opportunity not to be missed is the photo workshop organized from 15 to 17 December by Photographic Travel, Arbaspàa Tour Operator division. This is an open experience for everyone, from beginner to advanced. An unusual, but special time to shoot in this area: the mild winter will welcome photographers with their clear ambience and give them the opportunity to explore and, of course, immortalize these landscapes at a time when the high summer's affluence it's a reminder. 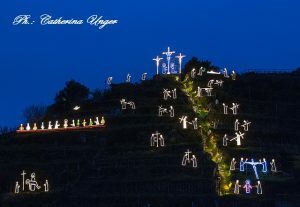 An element of particular interest to the participants will be the incredible nativity of Manarola, created by Mario Andreoli: famous all over the world, is made up of luminous figures that are arranged on a whole hill above Manarola. The equipment to wear will be at the discretion of the members of the workshop: in particular, it is recommended to use a digital SLR camera. 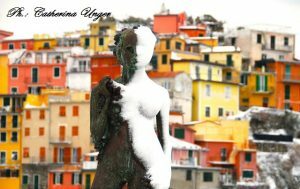 The three days will be promoted by Catherina Unger, photographer and travel organizer: holder and founder of Arbaspàa Tour Operator, with Photographic Travel she has united in a perfect synthesis her passions and experiences. The program includes lessons on landscape photography, visits and photo sessions at Manarola, Monterosso, Riomaggiore and Vernazza and, optionally, between Porto Venere and Palmaria Island, trekking among vineyards or post-production sessions.